I’ve been sick as a dog lately….sore throat, dry cough, sinus headache, runny nose, itchy eyes. I seriously don’t know how my nose has not fallen off yet ‘cause I’ve been blowing snot out of it every other second. Sorry for the grossness! I wanted you to get the full visual. What makes matters worse is this past weekend, the city was full of fun activities- Hardly Strictly Blue Grass festival, Blue Angels, Castro Street Fair, etc. So while everybody else was smiling in the sun having a dandy time cruising the city, I was stuck indoors nursing a cold. Boo. The only good thing about it was I got to keep company with a few pretty awesome distractions. 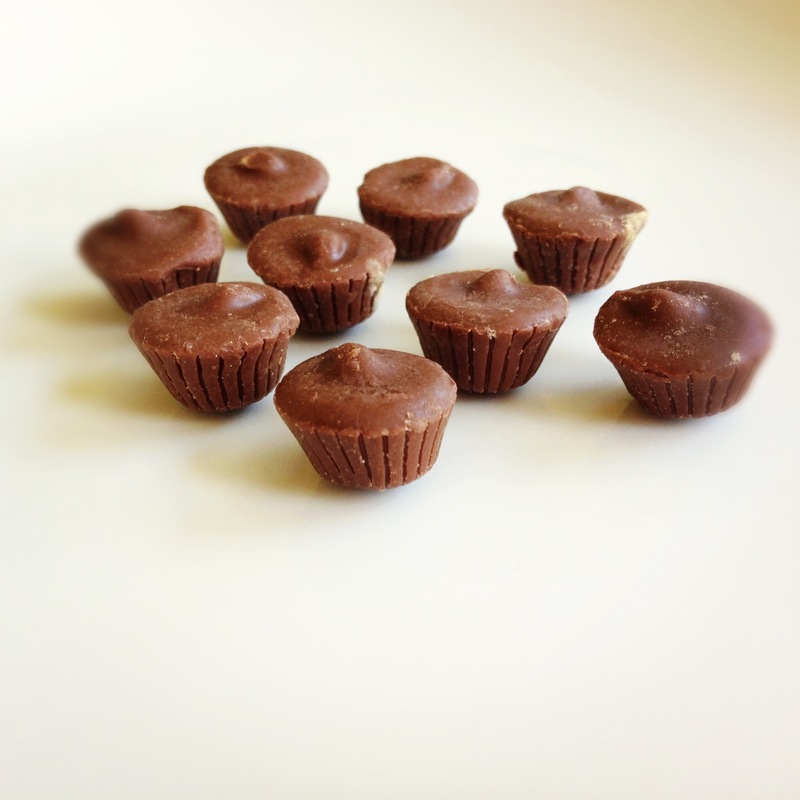 Somehow these lil’ nubs make you feel less guilty about consuming chocolate because they are about 1/10th of the size of a Reese’s Cup. My only caution is that they are like potato chips…you can’t just have one. Not sure why but when I’m sick, I give myself permission to eat more generously to make myself feel better. I rationalize that my body needs more nutrients. That’s how I talked myself into feeling OK about eating half the tub! DANGEROUS. Hero or traitor? M.I.A. in Afghanistan for eight years and subjected to unthinkable torture at the hands of al-Qaeda, Marine Sgt. Nicholas Brody (Damian Lewis) is finally coming home. CIA officer Carrie Mathison (Emmy® winner Claire Danes) believes he has been turned and become part of a plot to be carried out on American soil. But the volatile Carrie has some demons of her own. Nothing is as it seems in HOMELAND, an edge-of-your-seat thriller that also stars Emmy® winner Mandy Patinkin. Watch it and thank me later.